Part of the Lecka Lecka chain. From the main entrance of e@Curve, take the nearest escalator on the right to level 2. Lecka Lecka kiosk, on the right side near the toilet. 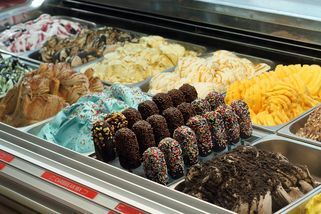 The only thing Italian about Lecka Lecka is their name and the technology imported to make their signature gelatos. 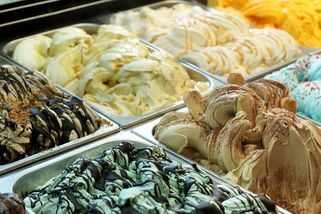 Everything else – especially their gelato and sorbet which is made fresh daily – is made locally in their factory in Malaysia. 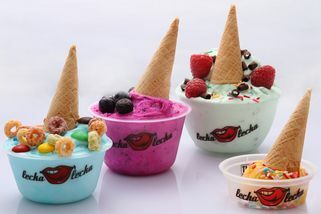 Lecka Lecka is constantly creating new and exciting flavours at their factory. 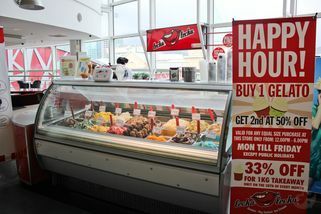 To date they have an inventory of over 150 flavours, with 20 flavours being sold at each time. To aid customers in their choice each flavour on sale at Lecka Lecka’s kiosks can be sampled for free. 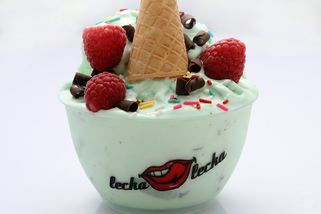 Lecka Lecka creates their gelato with emphasis on consumer health. Their milk based gelato is an impressive 94.9% fat free. For the lactose intolerant there are fruit based and soy based products which are a whopping 99.9% fat free! 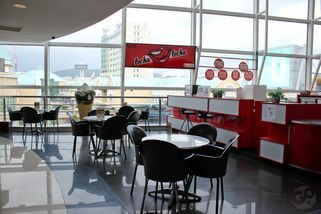 Lecka Lecka in e@Curve operates in a bright and open space opposite the Cineplex on level 2 of the mall. 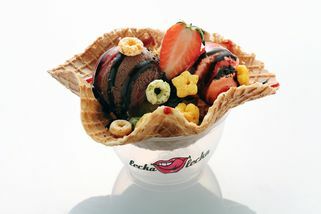 "The first time I sampled Lecka Leck..."
The first time I sampled Lecka Lecka (yes, you can ask for free taste / sample just like Baskins) I got a shock at one of their flavour, which I unfortunately forgot the name of it but it taste exactly like eating Ferrero Rocher! O_O I was completely sold! hahaha! Not only it's near Cineleisure's Cinema which is good cause you can eat it before/after a movie but they usually have some promo going on. BUY 1 FREE 1 Etc. If not, just log on to any voucher website (groupon/webuy etc) and sometimes they would have deals for Lecka Lecka which is really worth it. My fav is the Sirap Bandung gelato here. I think it's a seasonal thing (they should make it permanent!). The last time I came here, I brought 3 of my nephews. They seem to love it more than I did, judging by the amount of running and screams of joy that came after. They have plenty of seats, so it's a good place to sit down while you're waiting to catch a movie. Can't remember the actual price but it was quite reasonable. Plenty of flavours to choose from as well. I'd say it's one of the better gelato places out there. Try it!